Such a trend is attributed to the growing demand for caregivers who are able to provide care round the clock at nursing homes and hospitals and also at apartments and private homes. Caregiving robots have already been programmed to ask queries that would be asked by a typical nurse, and they can also track patients for falls. Owing to the predicted shortage of caregivers in the U.S., it is anticipated that such robotic assistants would become progressively marketable, and by 2045, they would reach 450,000. Unfortunately, the external hard structure of current caregiving robots prevents them from a safe human-robot interaction, limiting their assistance to mere social interaction and not physical interaction. After all, would you leave babies or physically or cognitively impaired old people in the hands of a robot? Ramses Martinez, Assistant Professor, School of Industrial Engineering and Weldon School of Biomedical Engineering, College of Engineering, Purdue University. The latest developments in material science have made it possible to create robots having deformable bodies or the potential to remold when touched. 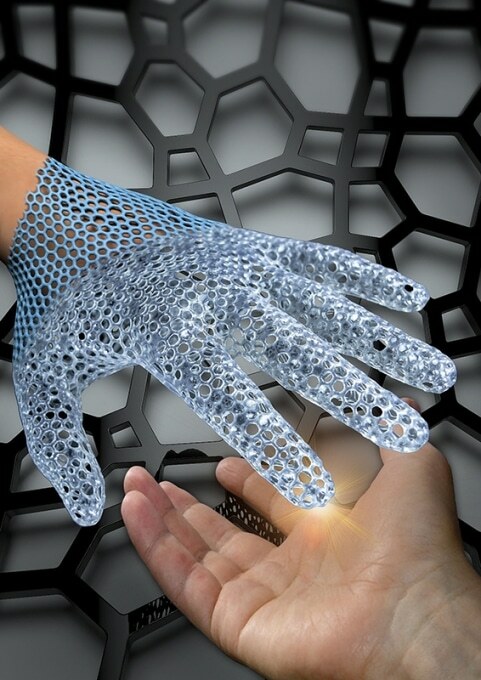 However, the fabrication, intricate design, and control of soft robots are acting as a barrier in the commercialization of this novel technology and its application for at-home scenarios. Along with other Purdue University scientists, Martinez has created an exclusive design technique that holds implications in the fabrication and efficient design of soft robots with the help of a 3D printer. The innovative technology has been reported in the April 8 edition of Advanced Functional Materials. Three steps are involved in the design process. Firstly, a computer-aided design file resembling the shape of the robot is created by a user. This CAD file is then painted by the user to indicate which directions the various joints of the soft robot will move. It takes only a few seconds for a fast computer algorithm to transform the CAD model into a 3D architected soft machine, or ASM, that can then be printed with the help of any traditional 3D printer. The ASMs move similar to humans, but they depend on tiny motors and not on muscles. These motors pull from the nylon lines fixed to their limbs’ ends. The ASMs can also be squeezed and expanded to over 900% of their original length. ASMs can perform complex motions such as gripping or crawling with ease, and this work constitutes a step forward toward the development of autonomous and lightweight soft robots. The capability of ASMs to change their body configuration and gait to adapt to a wide variety of environments has the potential to not only improve caregiving but also disaster-response robotics. The novel technology is patented via the Purdue Office of Technology Commercialization. In order to test and commercialize their technology, the scientists are searching for potential partners. The researchers’ study aligns with the Giant Leaps celebration of Purdue University, acknowledging the university’s global advances in health and artificial intelligence as part of its 150th anniversary. Those two are among the four themes of the yearlong celebration’s Ideas Festival, specifically designed to demonstrate Purdue University as an intellectual hub that solves real-world problems.